We’re now living in a world where you can stream films through your PlayStation, watch them on your phone or stare at them intently through your zoopraxiscope. However, surely we can all agree that the most pleasant way to watch films is still the good, old, traditional cinema; sitting in folding, bristly seats with your mates, snacking on overpriced popcorn and talking over the anti-piracy ads. In the age where staying at home to watch the latest blockbuster has become the standard – why not venture out to one of these places to realise the True Spirit of Cinema™? With a programme extending to music, theatre, comedy, storytelling and even orchestra, The Cube is much more than just a cinema. The members of The Cube (anyone can sign up – just ask for a card when you go in) all clubbed together to buy the building earlier this year, thus sealing the future of this wonderful arts venue. All shows are great value (usually around the £5 mark), plus there’s a small and reasonably-priced bar which allows you to purchase a bottle of beer or cup of tea to take in with you. The whole place is also staffed by volunteers, so be sure to support this iconic venue either by paying a visit or offering up your spare time. 6. Bristol Bad Film Club There’s a strange pleasure to be found in watching truly awful films, it seems. 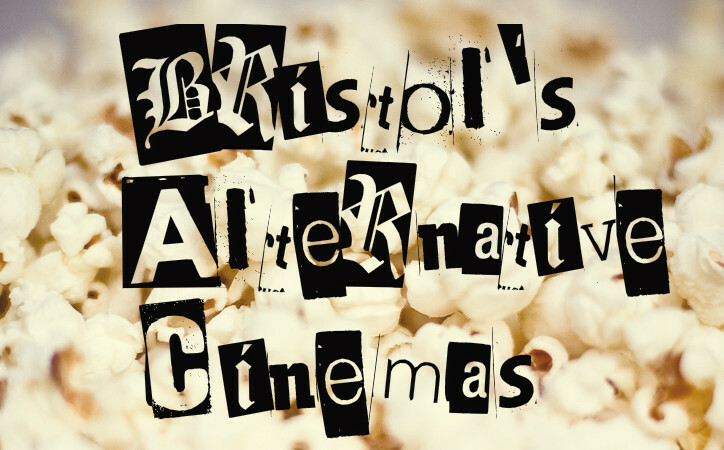 Even more so when you’re surrounded by a cackling audience and being given behind-the-scenes trivia on just how incompetent the team who made said film were – and that’s what the guys behind the Bristol Bad Film Club are doing, and doing very well indeed. So far Bristol has been treated to screenings of ‘The Room’ (agreed upon by most film fans as The Worst Movie Ever Made), ‘Miami Connection’ (ninjas versus a tae kwon do rock band) and ‘For Y’ur Height Only’ (3ft Filipino spy goes after baddies), among other treasured turkeys. BBFC have hosted their events in various great venues across the city, from the planetarium in @Bristol to the Old Bridewell Police Station, but seem to have settled on The Cuban in the harbourside as their main location. Check out their website for the latest listings – prices are usually £5, with the option to pay £10 including dinner. Bargain! 5. Under the Stars It wouldn’t be Bristol if there wasn’t at least one option based on a boat. Moored opposite Watershed, just by Falafel King and Cascade Steps, the bar has a film night every Monday, screening classics such as Rushmore, Amadeus and The Goonies – they also encourage people to suggest films on their website. The best bit is that you can make the most of a sunny day on deck with some of their tasty tapas dishes beforehand. 4. The Lanes Come for the bowling, stay for the pizzas, boozy milkshakes and movie nights. Some of the most popular events at this city centre bar and bowling alley have been movie-themed, including nights based around Wayne’s World, Anchorman and The Big Lebowski. The cinema is located upstairs, complete with popcorn machine, and once the film is done you can come back down to the main bar for some film-inspired drinks, music and entertainment. The Anchorman night even managed to get a jazz flutist on stage. Sister pub The Crofter’s Rights also has plans to start movie nights this summer, so keep an eye to their website too. 3. Christmas Steps Already one of the better looking parts of central Bristol, Christmas Steps isn’t content just sat being around drawing comparisons with Diagon Alley, but also has a bustling community who like to organise various fun events on the street throughout the year. Some of the most popular last summer were the cinema screenings half way down the steps – in September they screened Battleship Potemkin to a very happy audience. Look out for confirmation of new summer screenings on their website and Twitter page soon. 2. Watershed When most people think of film in Bristol, they think of Watershed. The well-loved harbourside arts centre has several screens and is dedicated to showing a wide variety of films from across the world, both block busters and tiny indie films. It is the home to the Encounters Short Film Festival, and also hosts many other workshops, talks and festivals throughout the year. In addition to their fantastic programme, they also offer meal deals with cinema tickets – on Sundays you can get money off brunch, and on Tuesday their Cinebites deal means you can get a cinema ticket, meal and a drink for £15. If you want to be the master of your own film viewing, or just have a change of scene from watching your most loved boxsets on your TV, you can bring along your DVDs and friends along to 20th Century Flicks in Clifton and sit in their cute little screening room. The room seats 8-12 people and a screening costs £25 – a bargain when split between a group, plus you can eye up the shop’s selection of films for your next movie night! If you’re more in the mood for a pub surrounding, you can stroll over to Horts on Broad St in the Old City – they rent out their Director’s Lounge to groups, as well as hosting their own film nights. The room seats up to 26 people, and you can register on their website for more information or to book.